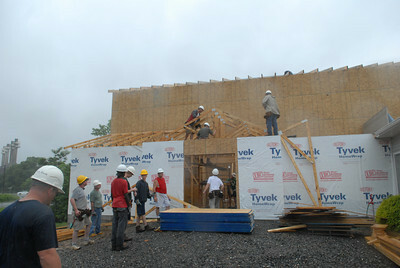 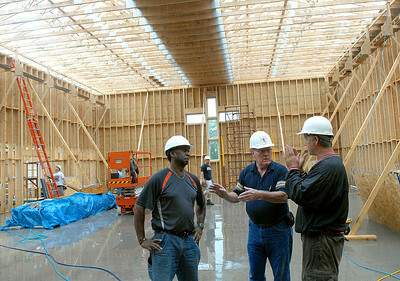 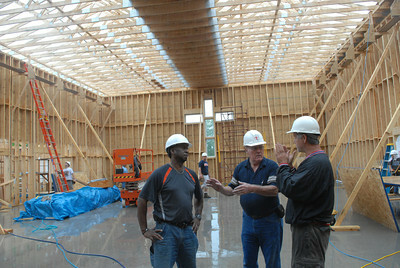 Rodney Russell, from left, Bob Wood, and Tommy Bryant dicuss their next step in the construction at Brookside Ministries Church in Shamokin Dam Tuesday June 12, 2012. 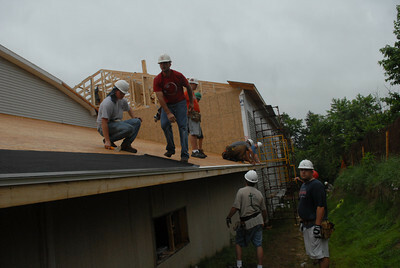 The trio traveled with a group from Alabama to donate their time to assist with the 6,100 quare foot addition to Brookside Ministries Church through the "Men on Mission" organization. 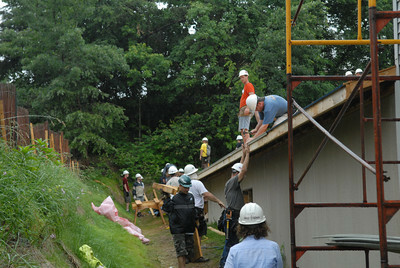 More than 100 volunteers traveled from Alabama, Delaware, South Carolina, Missouri, and Vermont to Shamokin Dam for the organization's 30th annual trip to build Christian churches. 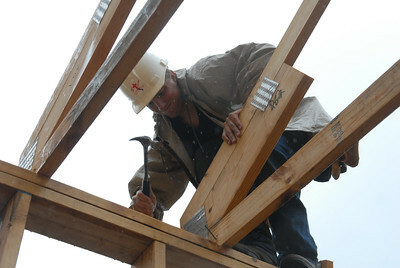 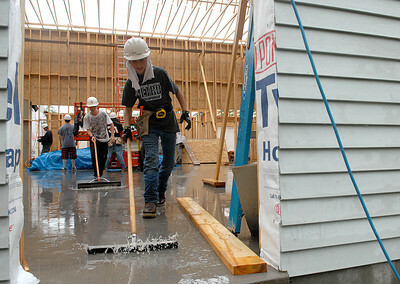 Ben Showers of Port Trevorton secures a joist on the 6,100 quare foot addition to Brookside Ministries Church Tuesday June 12, 2012. 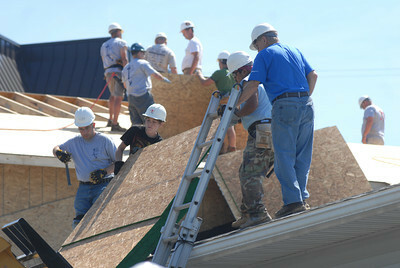 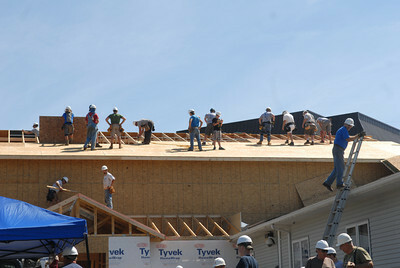 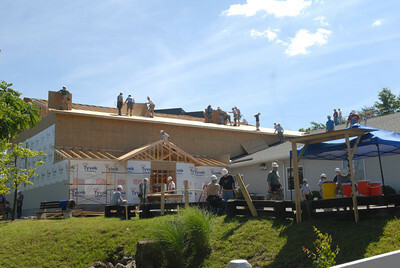 More than 100 volunteers traveled from Alabama, Delaware, South Carolina, Missouri, and Vermont to Shamokin Dam for the 30th annual trip of "Men on Mission" organization to build Christian churches. 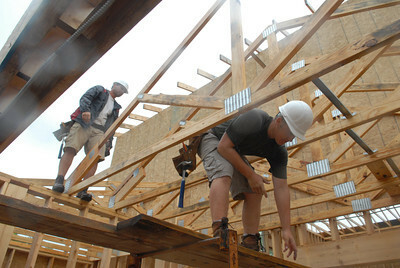 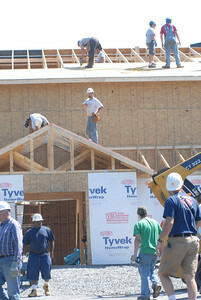 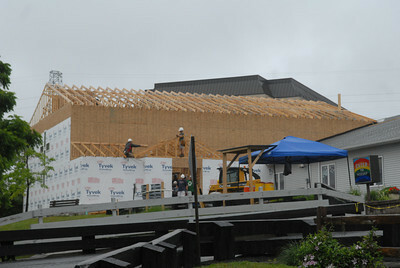 Wes Bruman, left, and Nick Showers of Port Trevorton secure a joist on the 6,100 quare foot addition to Brookside Ministries Church Tuesday June 12, 2012. 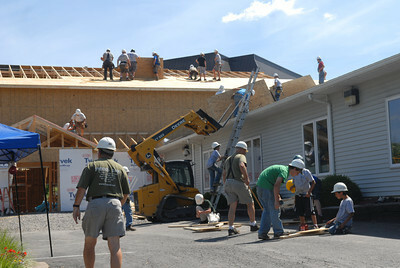 More than 100 volunteers traveled from Alabama, Delaware, South Carolina, Missouri, and Vermont to Shamokin Dam for the 30th annual trip of "Men on Mission" organization to build Christian churches. 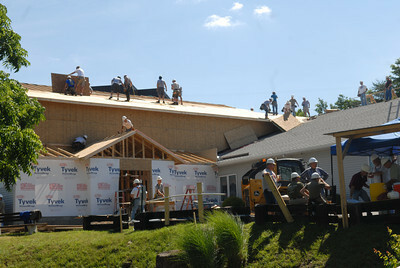 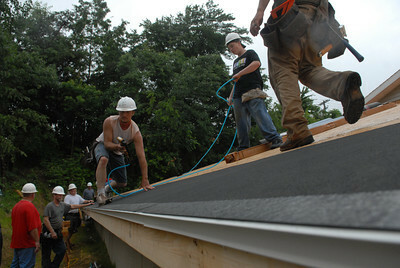 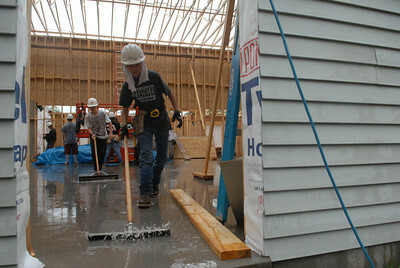 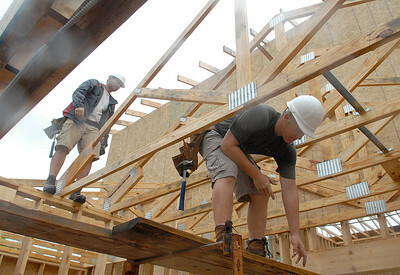 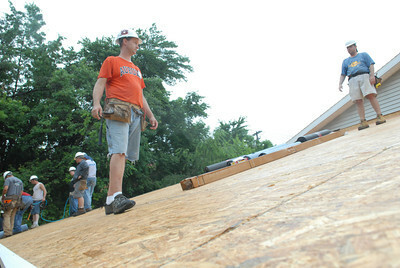 Gabriel Connaghan of Delaware, left, and Jason Hambey of Alabama try and stay ahead of the rain collecting in the 6,100 quare foot addition to Brookside Ministries Church Tuesday June 12, 2012. 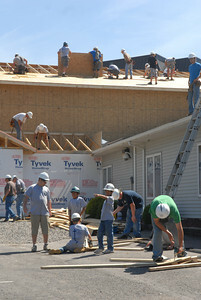 More than 100 volunteers traveled from Alabama, Delaware, South Carolina, Missouri, and Vermont to Shamokin Dam for the 30th annual trip of "Men on Mission" organization to build Christian churches.